Chuck Smith, Jr., started Capo Beach Calvary Chapel in Capistrano Beach, California, and served as its Senior Pastor for twenty-five years. His father founded Calvary Chapel, a Southern California church that developed innovative ministries in the 1970s to reach young people in the counterculture. Today, Chuck is doing the same thing for young people in the postmodern age. 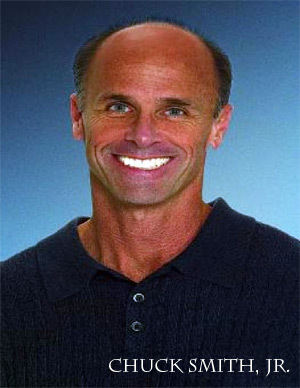 Chuck is an Author and a Speaker. The world is dramatically changing. How will the church respond? An uneasy feeling has crept into the hearts of many Christians: a sense of being powerless in the face of rapid change, a sense of disconnectedness from contemporary culture, and a sense of living in a world of increasing chaos. Even children from Christian homes seem to live according to different mental maps from their parents, justice appears to be irrelevant in court decisions, truths that were once considered “absolute” have dissolved, and moral standards have become as stable as quicksand. 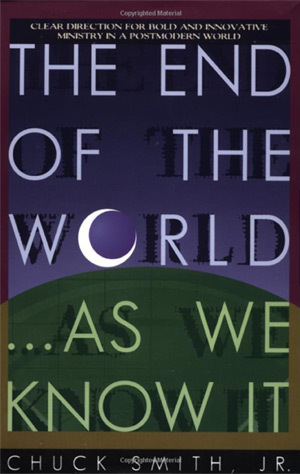 The End of the World As We Know It will open your eyes to what’s going on around you...and prepare you to become a vital member of a new Christian movement that’s destined to change the world. Imagine coming to a crossroads where you’re no longer sure who you are, why you do what you do, why you believe the way you do. You’re not even sure you care. Where do you go? Follow the stories of people who were steeped in their beliefs: a former fundamentalist, a former Pentecostal, a former liberal, a former feminist, a former communist, and several other “formers” and walk with them on their journeys out of those beliefs. See what twists and turns arise before them, and find out what they learned (about faith, themselves, their beliefs, the world) as they emerged on the other side. This diverse group of Christian leaders discloses and shares in vulnerable, uncommon ways, allowing you full access into their doubts, fears, convictions, and unanswered questions. 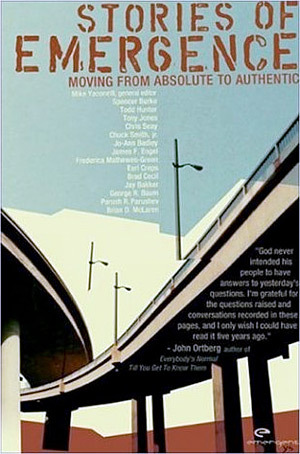 Each takes you on a path from absolute to authentic: from a place of false conviction and thin resolution, through struggles and growing pains, to a new place that’s much more about process than about having “arrived.” When it comes to journeys of faith, we often don’t know what lies at the end of the road. It’s difficult to take the first step when we are so unsure of the destination. As you read these stories, you’ll find there is room to challenge your fears as well as your faith. To book Chuck Smith, Jr., please contact Lisa Darden at lisa@huptalentandbooking.com or call 240-446-1554.